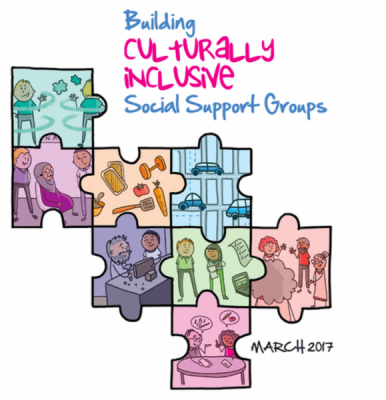 To assist SSG understand the different elements that support group to be culturally inclusive the EMR Alliance and the Centre for Culture, Ethnicity and Health have worked together to develop a series of Help Sheets. The Help Sheets are based on interviews and observations conducted with SSG in the Eastern Metropolitan Region in the second half of 2016. Interviews were conducted with Access and Support Workers, SSG Coordinators, participants and their families. A Consultation Report outlining these discussions and findings can be found here. The Help Sheets should also be considered in conjunction with the EMR Alliance Connecting the Pieces video and resource that explains the unique aspects of diversity, person-centred care and the relationship between these approaches.